In the UAE, there has been considerable discussion about the affordability of residential markets throughout the past year and what constitutes a balanced market, both in terms of price as well as rent. What has been missing from this debate is the issue of commercial real estate, and the prices and rents that can promote a SME enterprise. To be sure, with the formation of business centres, flex desks and the various options in the free zones, there is considerable choice on offer to business owners since the advent of the freehold era in Dubai. However, when looked at from a demand-supply gap, there appears to be a similar structural shift towards higher-end office space as has been the case in the residential space. This trend needs to be examined for the implications it has on SME formation and expansion. In academic circles, there has been surprisingly sparse research conducted in terms of commercial real estate affordability. Whatever few reports have been written posit a strong correlation between SME growth and a trifecta of variables that include venture capital funding, ease of government regulations and commercial affordability of rents and/or price. There are differing variables on the former and latter depending on the country in which the research has been conducted. In the US, rental rates of commercial offices have a larger correlation to SME growth, with investors holding such properties and reaping higher yields. In Nordic countries it appears to be the other way around as office ownership plays an integral role in the raising of subsequent capital by these entities. Regardless of the weight of the variable, research indicates that the commercial market balance is in a state where Grade A space is about 15-24 per cent of overall supply, with the balance being occupied by SMEs and back-office operators. In Dubai, it is difficult to state with absolute certainty what the ratio is. 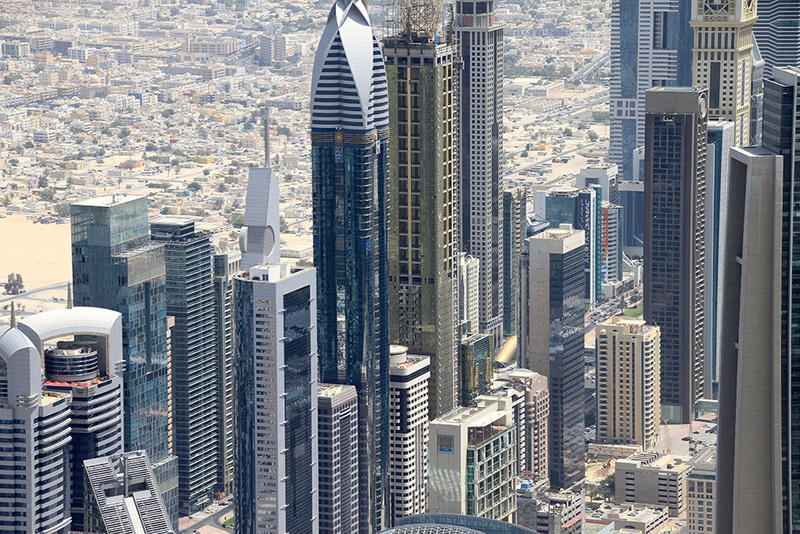 But it appears that when districts such as Business Bay and DWC Commercial City (largely under construction) are taken into account, the larger and more expensive commercial real estate represent 30 per cent and this will possibly rise to 45 per cent by 2020. With the explosive growth in free zones, there are a number of options on offer to the SME sector. However, this has been done in an environment where there are controlled rents, and even then there has been a tendency to offer larger spaces at rates that are comparable to those the West. This has had two important consequences: one, occupancy rates in the office space remain exaggeratedly high as there has been a mismatch between demand and supply of space and, two, whenever developers have offered more reasonable prices, they have been met with overwhelming demand. This has led to the same developers offering higher prices very quickly, resulting in a lopsided market place. It is clear that after a decade of freehold offerings, Dubai is maturing as a marketplace with a more grounded reality of where the demand spigots are. As the race to 2020 gets under way, developers are starting to tailor their offerings to cater to various sectors previously untapped. The reduction in oil prices will serve as a further impetus towards offering more affordable spaces. Such choices in the commercial space will play a pivotal role in the nurturing of the SME sector and the resultant capital formation in the economy, which is the precursor to sustainable growth.